In 1999, Rod and Connie Theobald purchased and opened the Old Mill Café. The restaurant quickly developed a reputation for friendly service, great food, and amazing homemade pies. Grandma Maxine’s Famous Pies became a fixture in the area, and earned her the affectionate nickname “Pie Lady.” Many of the recipes served in the café, such as our award winning Clam Chowder, come directly from her as well. From the start, the café has been a family operated restaurant, and at one time three generations worked together in the business. In December 2010, the café experienced a catastrophic loss due to water damage and closed for 16 months. Many things changed during the layoff including the layout of the building, the hours of operation, the menu, and ownership. When the Old Mill Café reopened in 2012, Jason Theobald, Rod and Connie’s oldest son, assumed control of the business. Some things, however, didn’t change. 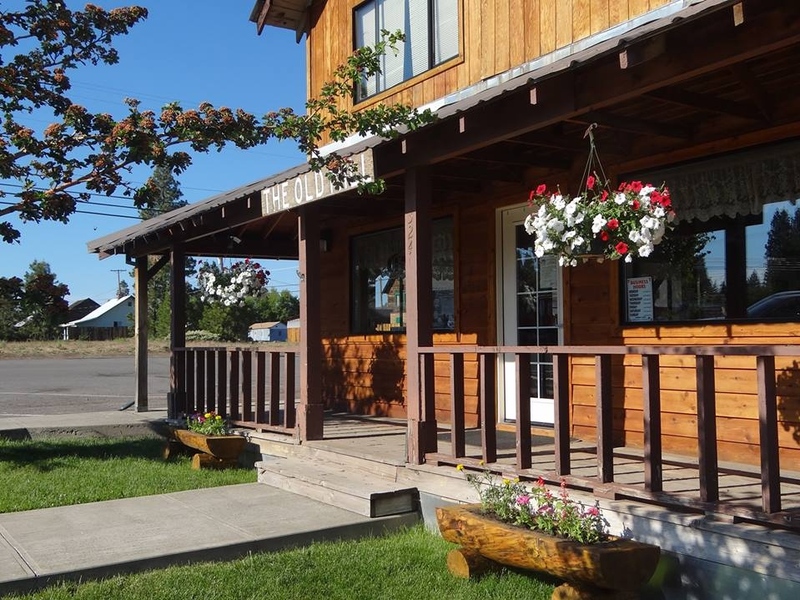 The Theobald family is still committed to providing excellent food and plenty of it, excellent service, and a restaurant that feels as comfortable as dining at home. It’s a place where the servers get to know your first name, and probably know your “usual” order. The Old Mill Cafe resides in one of the first bunkhouses built by the Red River Lumber Company when they began construction on the town in 1913. On its wall you will find photos and objects that showcase the town’s history as one of the great timber towns of the early 1900s. Less than a block from the café you can find the town’s biggest claims to fame in the form of two statues. Paul Bunyan and his giant blue ox, Babe. Although Paul Bunyan was not created in Westwood, he became the advertising icon for Red River Lumber Co., and when their operations moved to Westwood, Paul became Westwood’s mascot.